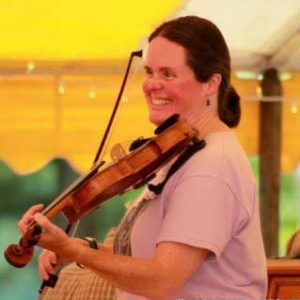 Maggie Robinson has been teaching fiddle since 2003. She began taking fiddle lessons the age of 10 and became concert mistress of her school orchestra during her senior year. Many years later she discovered Contradancing and fell in love with the music She took the violin out of the closet and began learning fiddle tunes. She completed a course in 2003 at the Hartt College of Music, Theater, & Dance on “Teaching Fiddling”. Currently she is teaching at several locations in greater Portland, and also regularly calls for contra dances around the state.